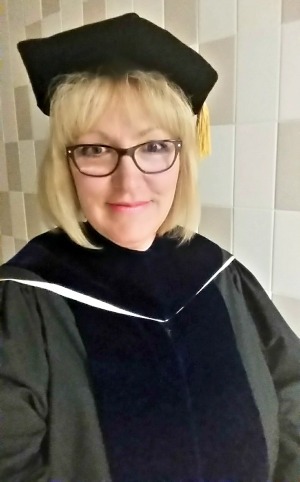 I’m Dr. Kelly, host of the Ewe University podcast. I am a university professor and have a Ph.D. in Experimental Psychology, which means I am a trained research scientist. I am not a counselor or a therapist. I don’t do clinical work. I do not analyze people. Instead, I study people in the laboratory and in the real world. My area of expertise is interpersonal relationships, and I’ve studied romantic relationships, friendships, parent-child relationships, work relationships — pretty much every type of relationship between people. As a researcher I’m interested in using science to answer questions about the world. And that is part of what we’ll be talking about in each podcast episode. I am a knitter, spinner, seamstress, and paper crafter. I make and send out over 20 handmade cards every week. I am trying to save the post office and encourage people to use snail mail more. Besides saving the post office, handwritten notes make people happy. Isn’t it great to go to the mailbox and find something besides bills and junk mail?! I ♥ pen pals! Feel free to contact me with ideas for the show, feedback, or just to say hi! I love getting old-fashioned mail, and I’ll even write you back! I used to get notifications when a new podcast was posted, but did not receive an email about this one!? Did I get bumped off the mailing list by some weird technology voodoo magic? Hi Marnie! Yes, I’m on YouTube now. Search for Ewe University on YouTube and you’ll find me. Thanks for asking! I just learned of your Your Tube site and I would be very interested in any and all information you could provide regarding knitting, and the various related subjects of fiber arts. I also love Snail Mail and have a line of cards that are reserved for family and friends. I also dearly love receiving and sending notes/letters in the mail and have friends who treasure receiving and sending them as well. It is such fun, as you mentioned, to find personal correspondence in the mailbox instead of just bills.